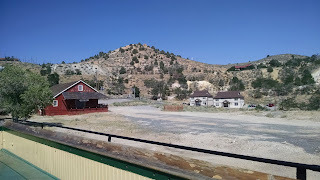 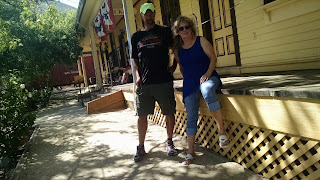 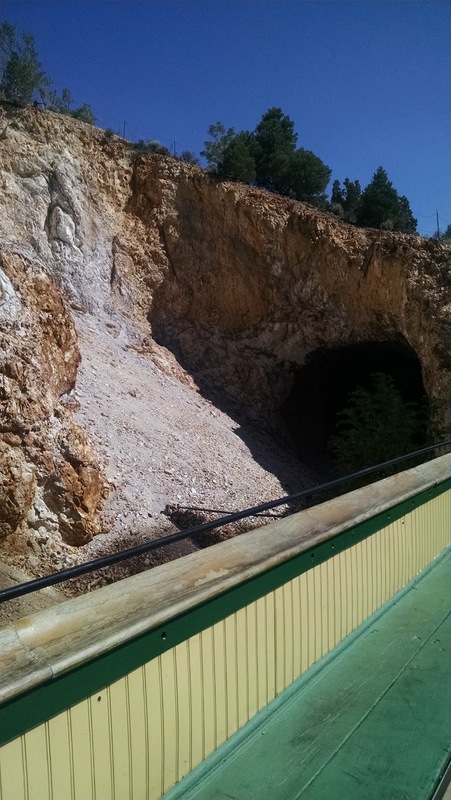 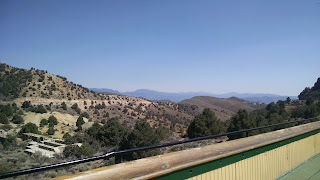 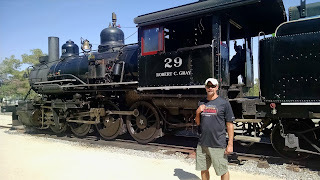 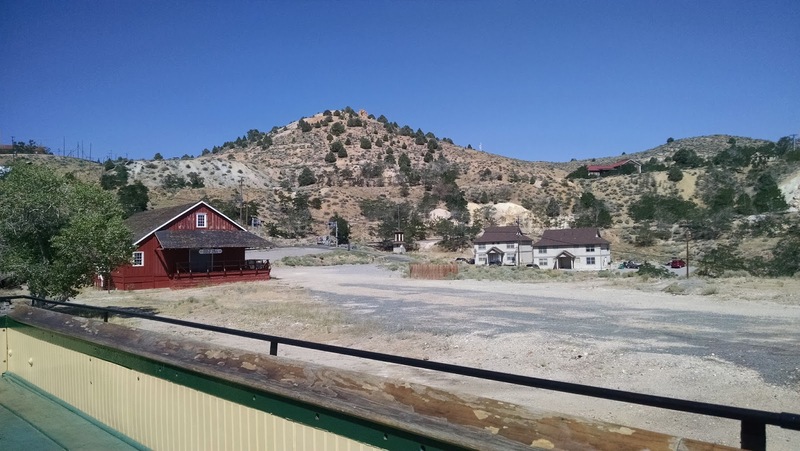 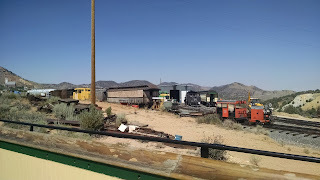 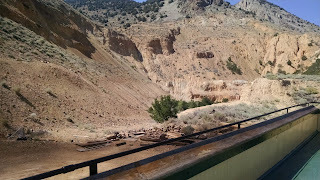 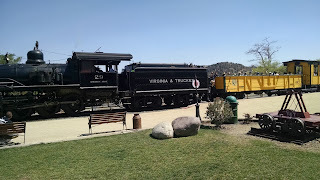 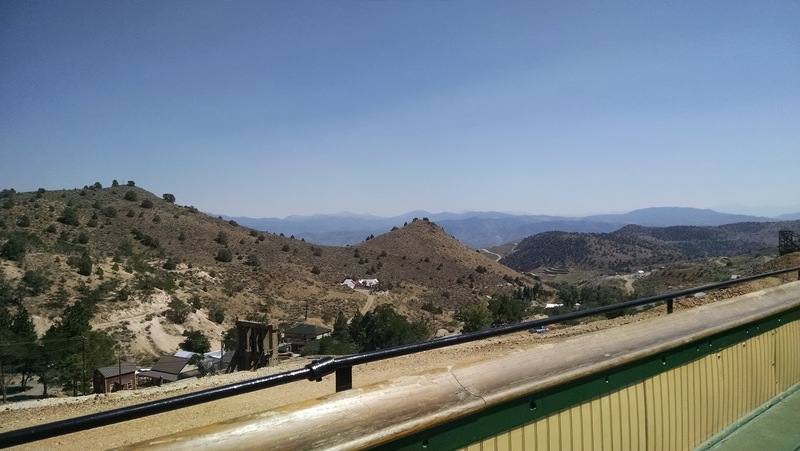 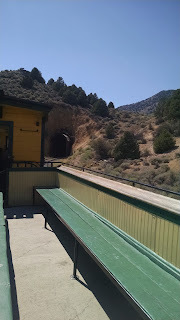 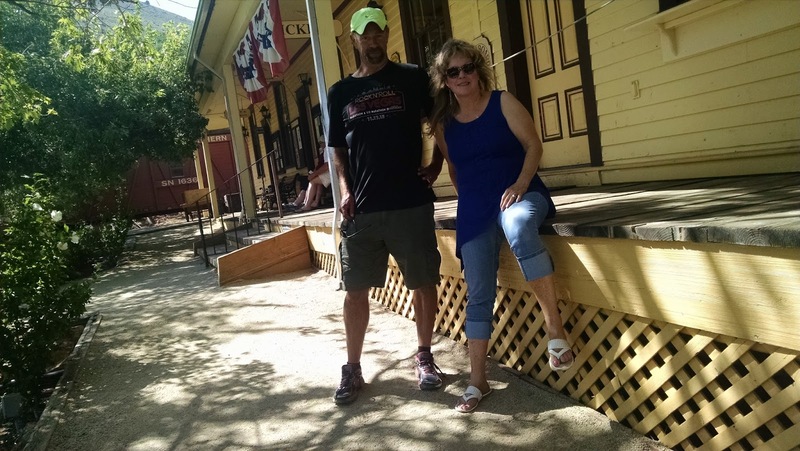 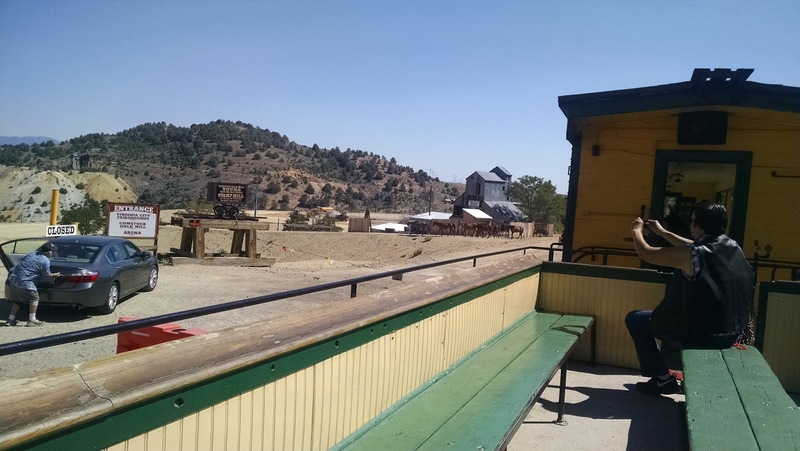 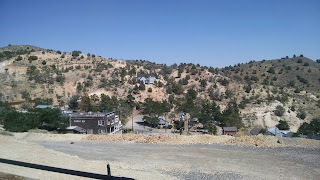 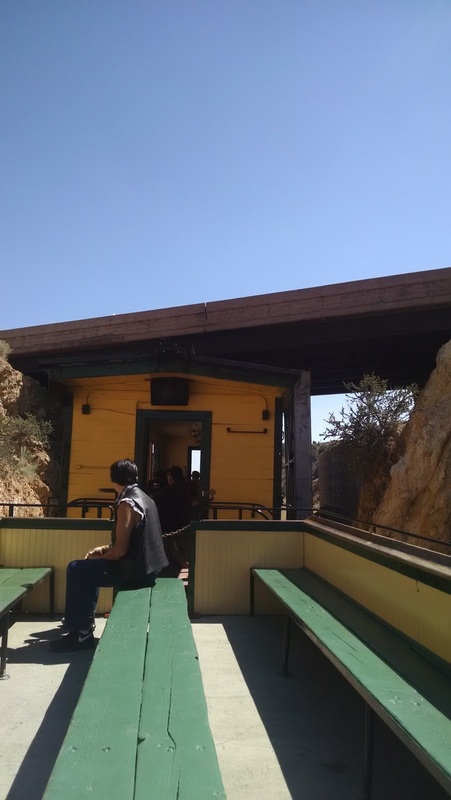 One of the "must-do's" when visiting Virginia City Nevada is doing the train ride: Virginia & Truckee Railroad. 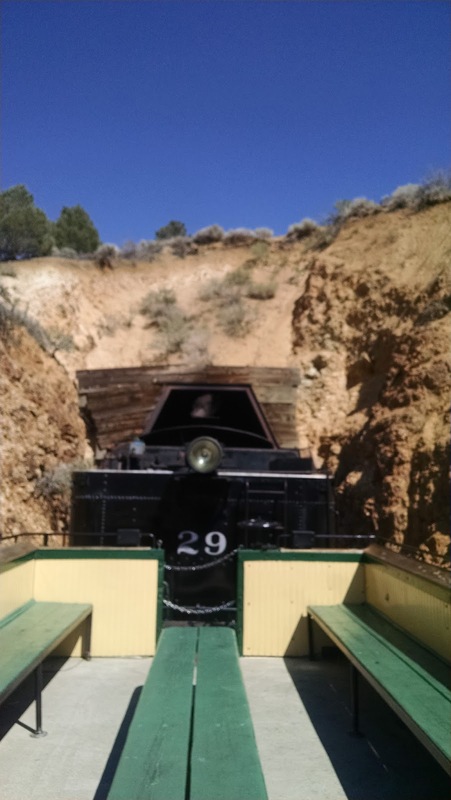 Located at the base of the town, this mighty railroad system once hauled tons of ore from the Comstock Mines. In fact, Virginia City was once named the richest city in the world because of the amount of silver that was extracted from the hills. 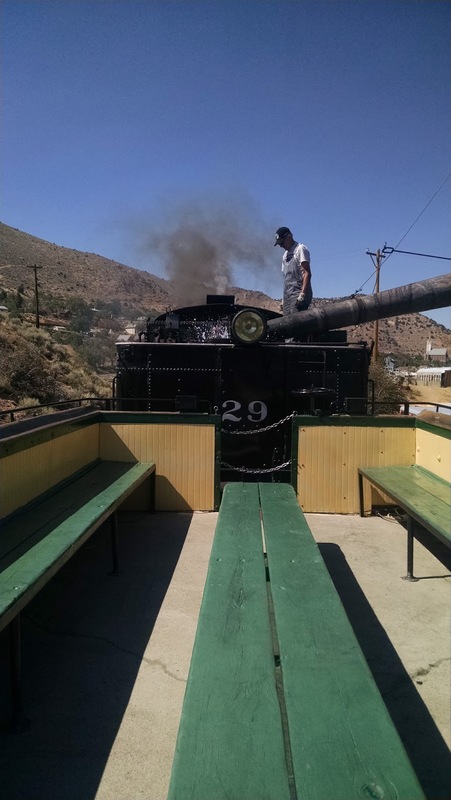 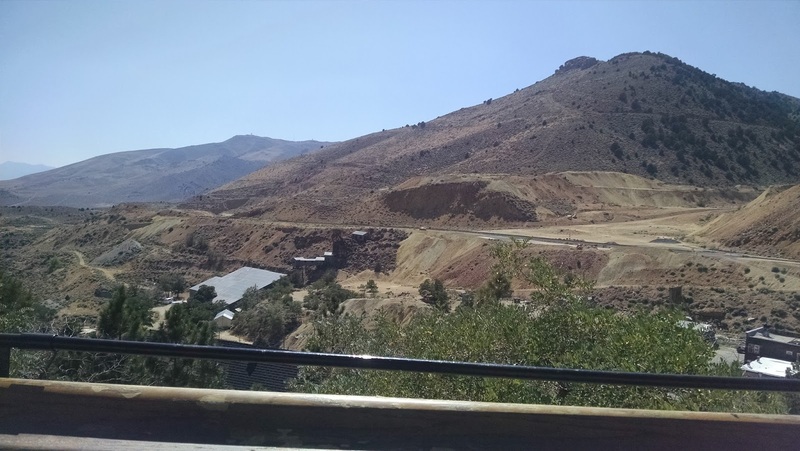 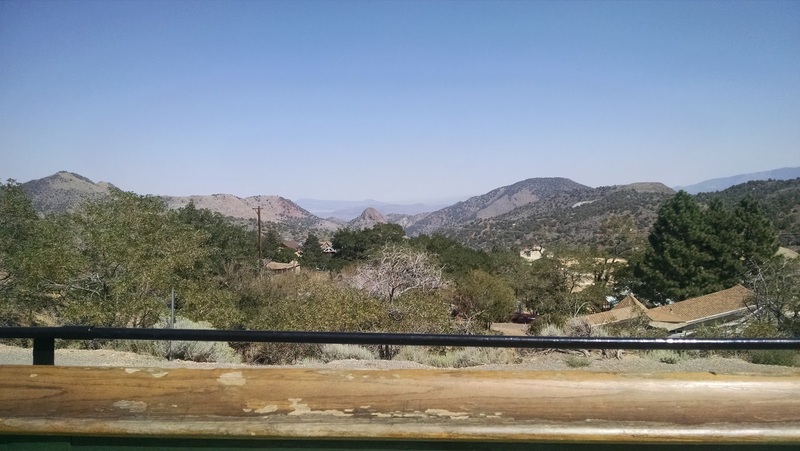 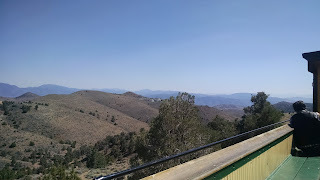 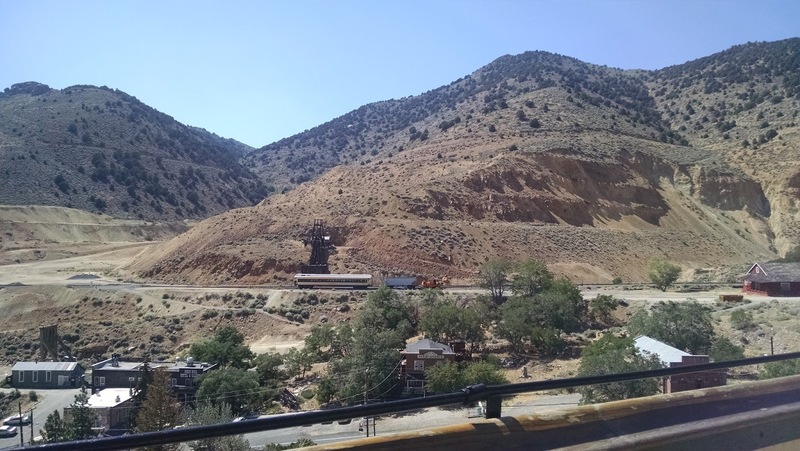 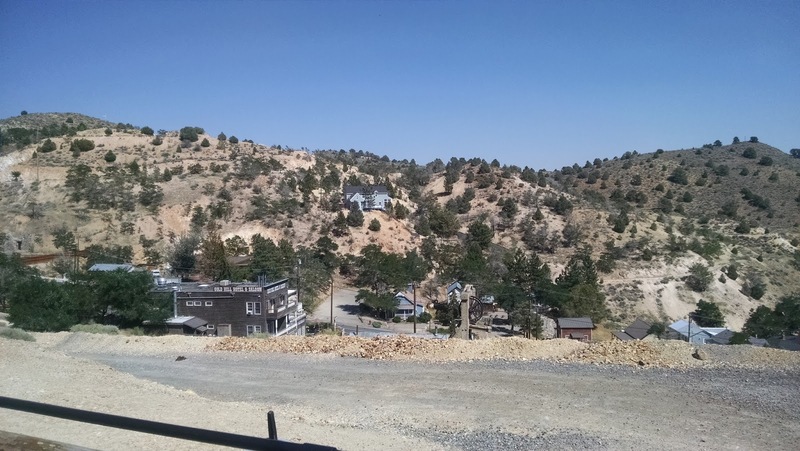 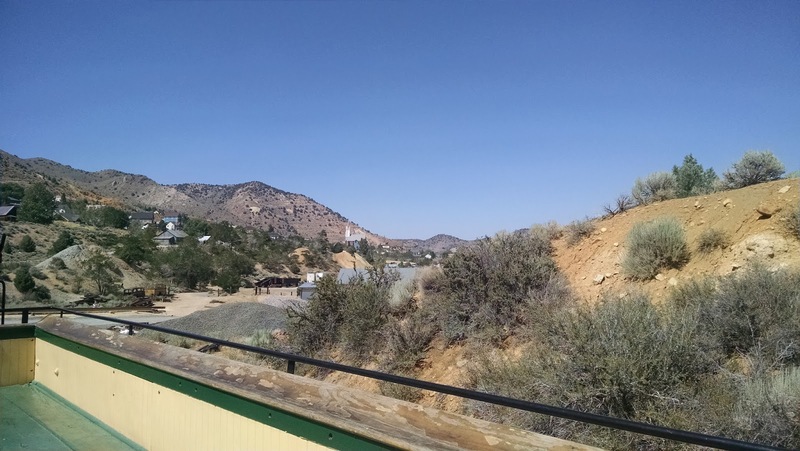 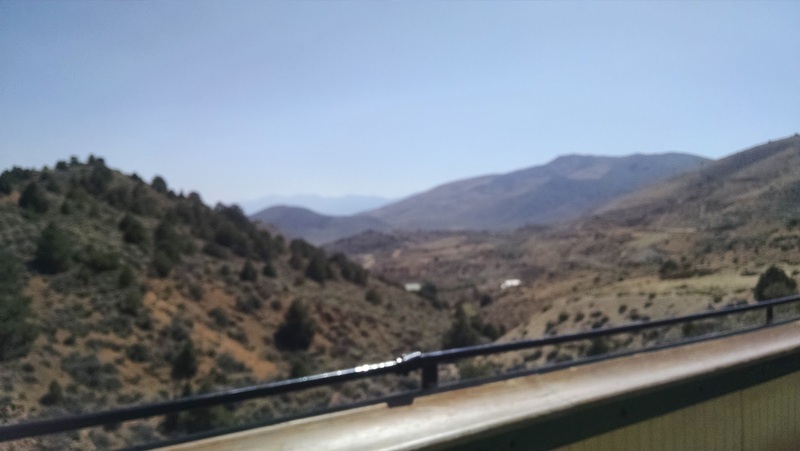 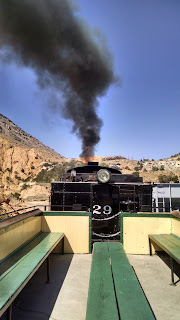 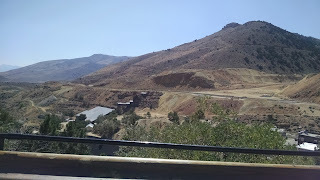 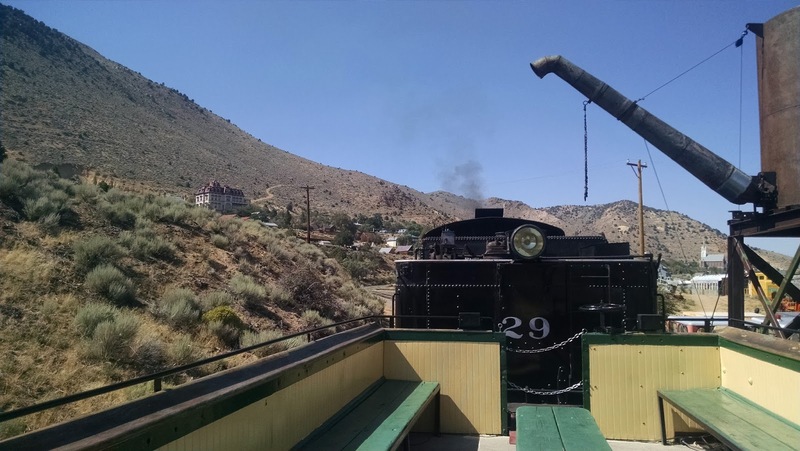 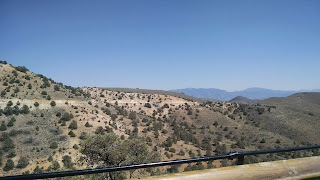 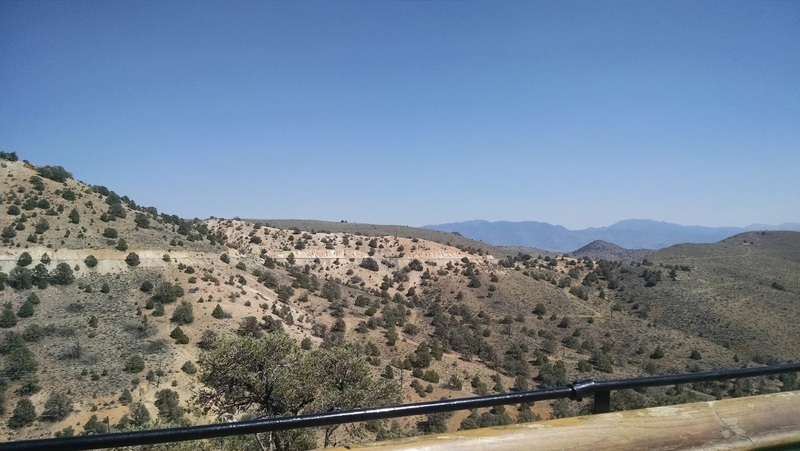 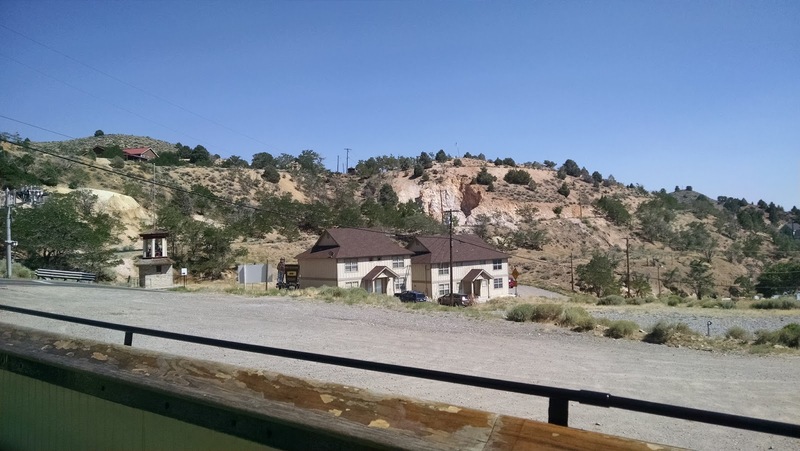 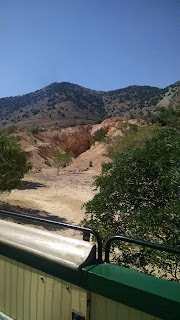 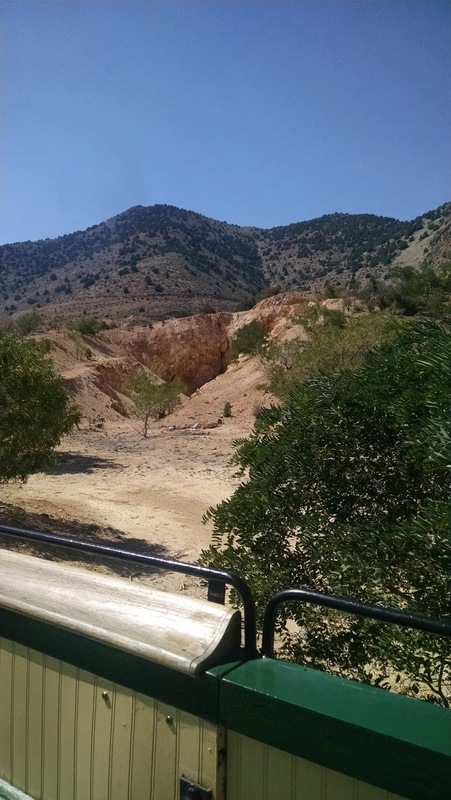 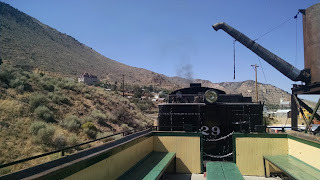 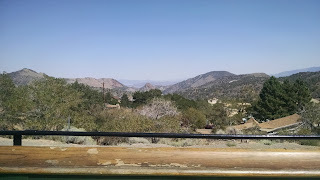 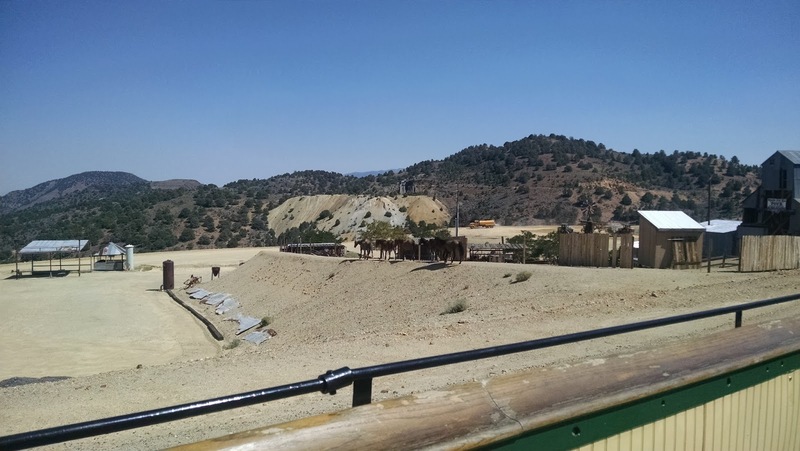 The steam train ride starts in Virginia City and takes a slow but steady progress through a tunnel or two and some gorgeous views of the valley and surrounding countryside. 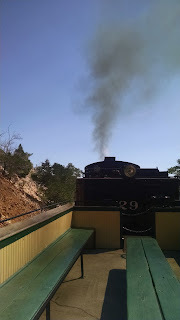 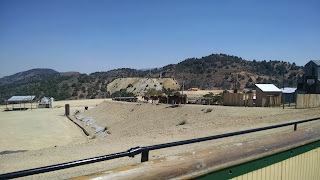 While on the roughly thirty minute ride the conductor narrates what you are looking at and some of the history and legends that occurred in the area. 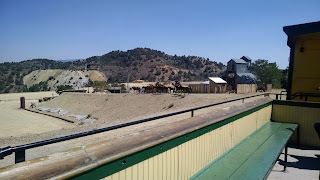 I wound up paying about $40 for the three of us. 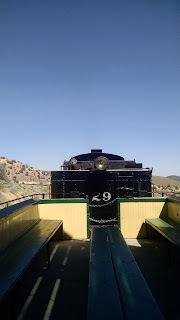 Compared to the Ely train ride I did, this ride is significantly shorter, but the price is also a lot less. I found the tour interesting and I was one of the few who braved the open cart (most people retreated to the covered section of the train) so as to get the best possible shots.